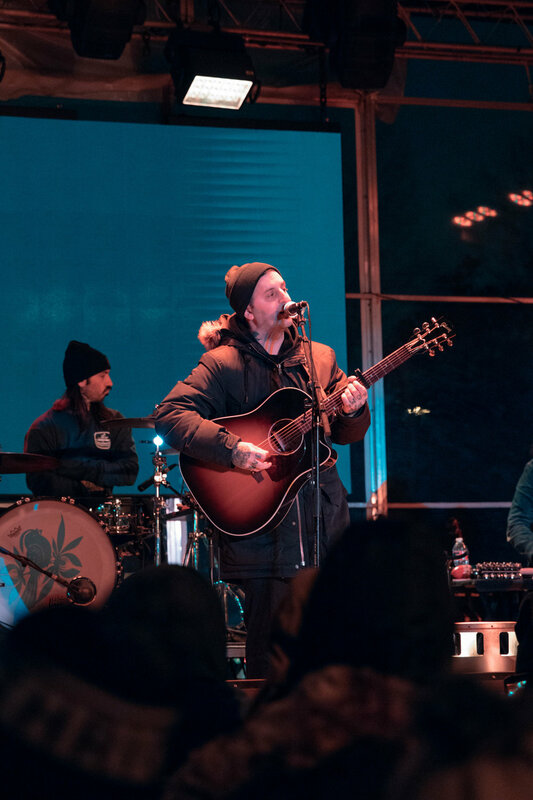 Following the release of their new album Acoustic Volume 2, a follow-up to their 2006 release Acoustic, Bayside announced their first full US, full band acoustic tour. 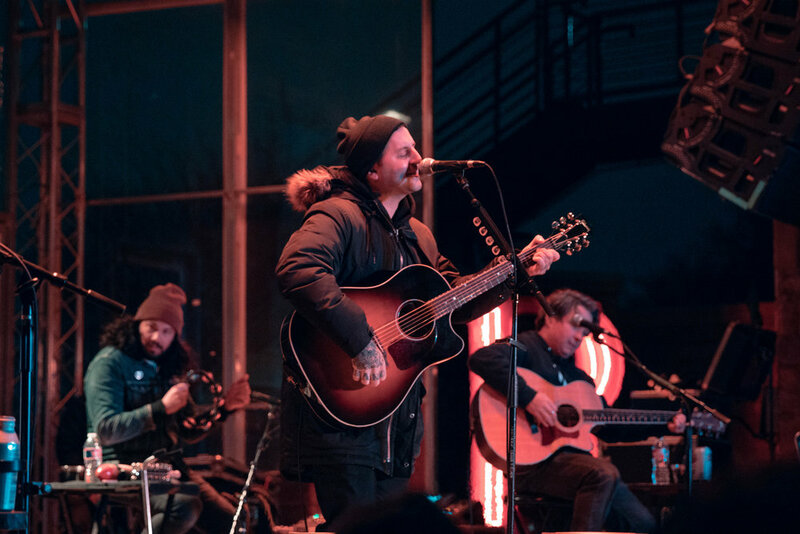 The tour touched down in Dallas, TX on Saturday, January 12th for a chilly outdoor set at Gas Monkey Bar N’ Grill. 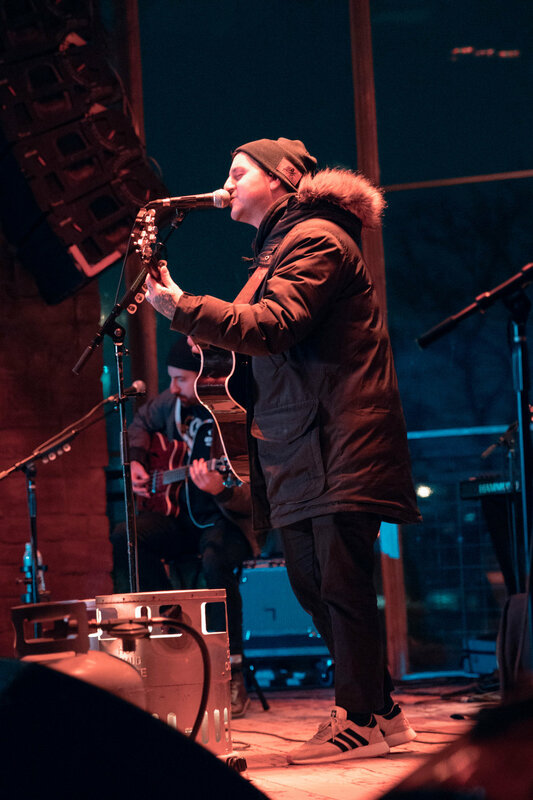 With the crowd all bundled up and gathered around outdoor heaters, it felt like a fitting setting for an acoustic show. 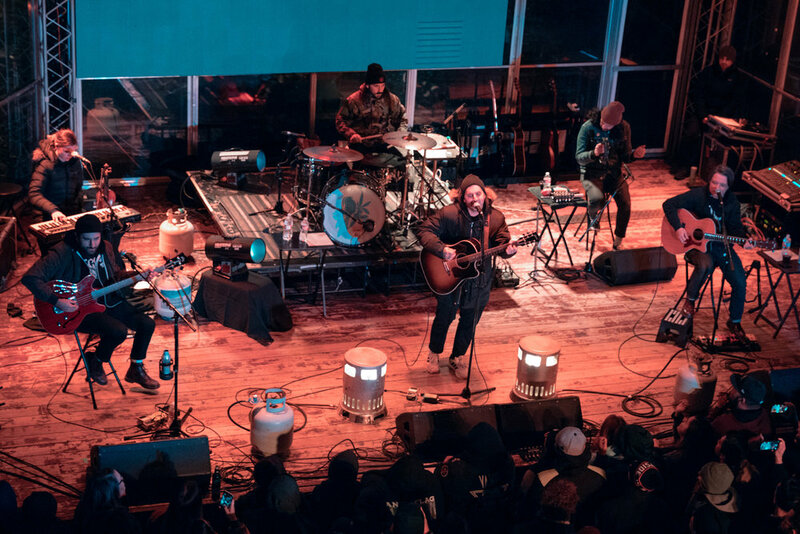 While the set was tame compared to your typical Bayside show consisting of fans jumping around, crowd surfers, and the occasional mosh pit, the campfire-type vibes that hosted their acoustic show only added to the feeling of intimacy brought on by an acoustic set. 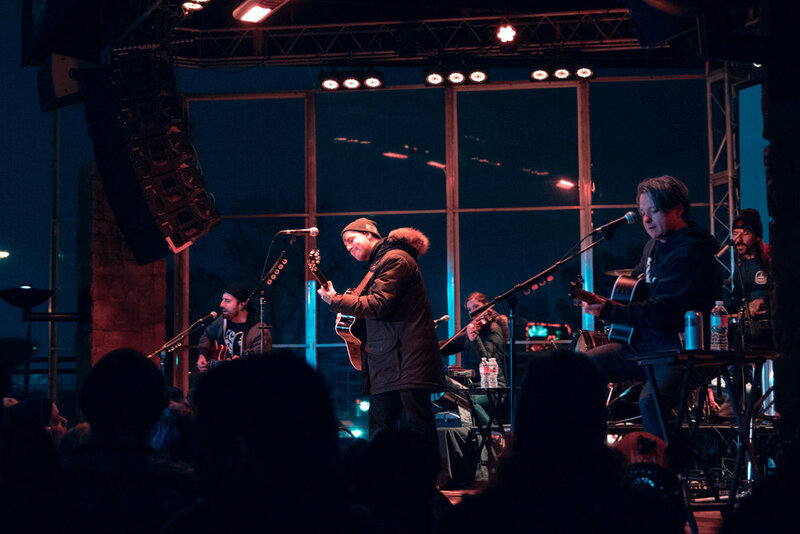 Opening with Monceanu, the band then moved into playing a few songs that are featured on their newest album, Acoustic Volume 2, including “Devotion and Desire”, “Howard”, and “It Don’t Exist”. 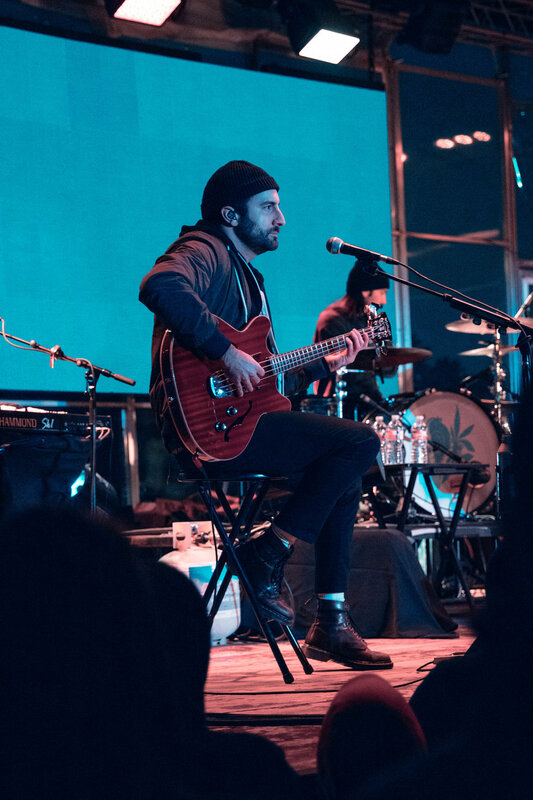 While the band continued to make their way through the 17 song setlist it was clear how much thought went into choosing the songs for this tour, giving the fans all gathered around the heaters on a chilly night a little bit of everything you could want from a stripped down Bayside show. The band finished off the evening by playing “Landing Feet First”, but not before a fan hopped on stage to propose to his now fiancé! After an enthusiastic yes, the newly engaged couple then slow danced on stage during “Landing Feet First” for a perfect end to an intimate acoustic night with Bayside. It’s definitely a show that won’t soon be forgotten. Words and photos by Madison Raney.